This compilation presents selections from Sri Aurobindo on the nature and purpose of Avatarhood. Divided into four sections, this compilation presents selections from Sri Aurobindo on the nature and purpose of Avatarhood. Section One is compiled from Chapter XV of Essays on the Gita, “The Possibility and Purpose of Avatarhood”. 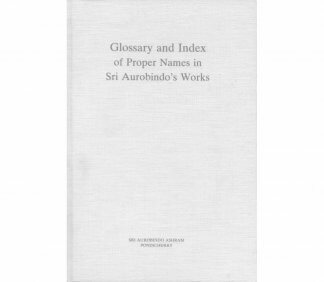 Section Two contains extracts from Nirodbaran’s Correspondence with Sri Aurobindo. 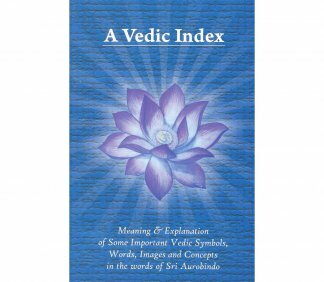 Section Three, selections from Letters on Yoga, explains the purpose of Avatars and Vibhutis in the evolution and addresses typical misconceptions about their incarnations. The final section contains excerpts on the Avatar’s life in the world as one who comes to open the way for humanity to a higher consciousness. The word “Avatar” has been carelessly used in popular culture over the years, most recently thanks to a very successful movie by the same name. James Cameron, the film’s writer and director, was quoted in Time magazine, “It’s an incarnation of one of the Hindu gods taking a flesh form. In this film what that means is that the human technology in the future is capable of injecting a human’s intelligence into a remotely located body, a biological body.” The term is also used in an online computer game “Second Life”, where your “virtual persona” in the game’s “virtual reality” is an “avatar”. So much of the Western world believes that something you create and control with computers remotely or lives in cyberspace is an avatar. Meher Baba of Pune claimed he was the avatar of the age. The devotees of Sathya Sai Baba and Mother Meera, among others, make similar statements. But one only understands that there is some claim of superiority for their teacher without knowing what the function and purpose of the Avatar is in the Divine Play. 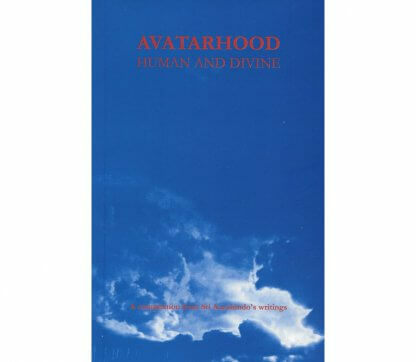 Therefore, one is grateful to Paulette Hadnagy for making a brief and informative compilation from Sri Aurobindo’s writings and conversations entitled Avatarhood: Human and Divine. A resident of Auroville, Paulette has a reverence and abiding affection for the elder disciples she first met upon arriving at the Sri Aurobindo Ashram. She has made a deep study of Advaita Vedanta and the psychology of Carl Jung and is enthusiastic about architecture, but little of her background or personality comes through in this booklet. Rather, she has gathered many quotes from Sri Aurobindo on the topic of Avatarhood and has let him speak for himself. Even in her introduction, Paulette keeps largely to Sri Aurobindo’s words, providing linking phrases together with a number of quotes from Essays on the Gita. She again chooses selections from Chapter Fifteen of the Essays for the book’s first chapter. She then moves to excerpts from Sri Aurobindo’s replies to Nirodbaran, including a number of humorous comments addressed to the persistent, self-deprecating doctor. She continues with selections from Letters on Yoga in a chapter entitled “The Purpose of Avatarhood” and then to comments from Sri Aurobindo On Himself, finally ending with Sri Aurobindo’s glorious poem, “A God’s Labour“. By culling excerpts from Sri Aurobindo’s exposition on the subject in Essays on the Gita, from the conversational “debates” with Nirod, from the broader comments in reply to queries from devotees, and then ending with the poetic, it is like turning the concept of Avatarhood around in Sri Aurobindo’s vision and experience and presenting a multifaceted perspective. There was something touching and profound in going back and seeing this quote in context, in rediscovering the patience and playfulness and profundity of the teacher in relationship to his disciple, as Nirodbaran struggles with his concepts and presuppositions about a Divine incarnation on earth. In the next section there are references to the ten Puranic avatars of Vishnu from the Fish Avatar to Kalki, the Avatar of the Satya Yuga, a procession which Sri Aurobindo interprets as a parable of evolution to demonstrate that “the idea of evolution is implicit” behind the very theory of Avatarhood. What emerges from Sri Aurobindo’s thought is how the calling and work of the Avatar is “something essential and radical needed for the terrestrial evolution”. One can debate who should be on the list of Avatars, and Sri Aurobindo joins the fray with a detached logical analysis, especially concerning the Buddha. But this is in response to questions posed to him. His focus always returns to the work to be done, with little concern for labels and claims and comparisons. He especially does not speak for the Mother, but only from his own experiences. Julian is President of Matagiri Sri Aurobindo Center in Mount Tremper, NY, USA, and Executive Director of Auroville International. He currently serves on Auroville’s International Advisory Council. 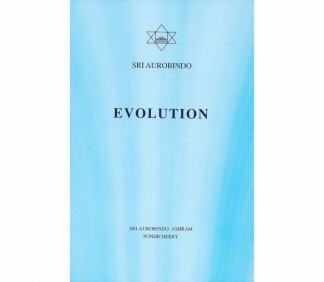 Three philosophical essays by Sri Aurobindo on the subject of evolution.